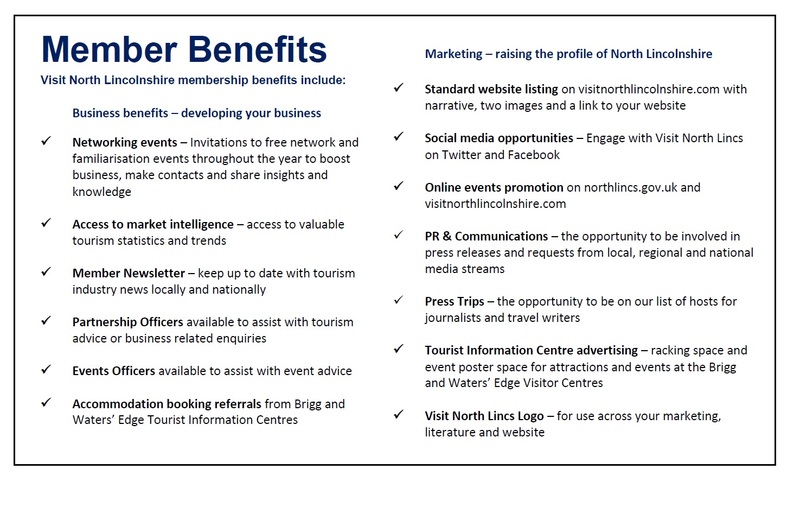 Join Visit North Lincolnshire Tourism Partnership in raising the profile of North Lincolnshire as a visitor destination of choice. 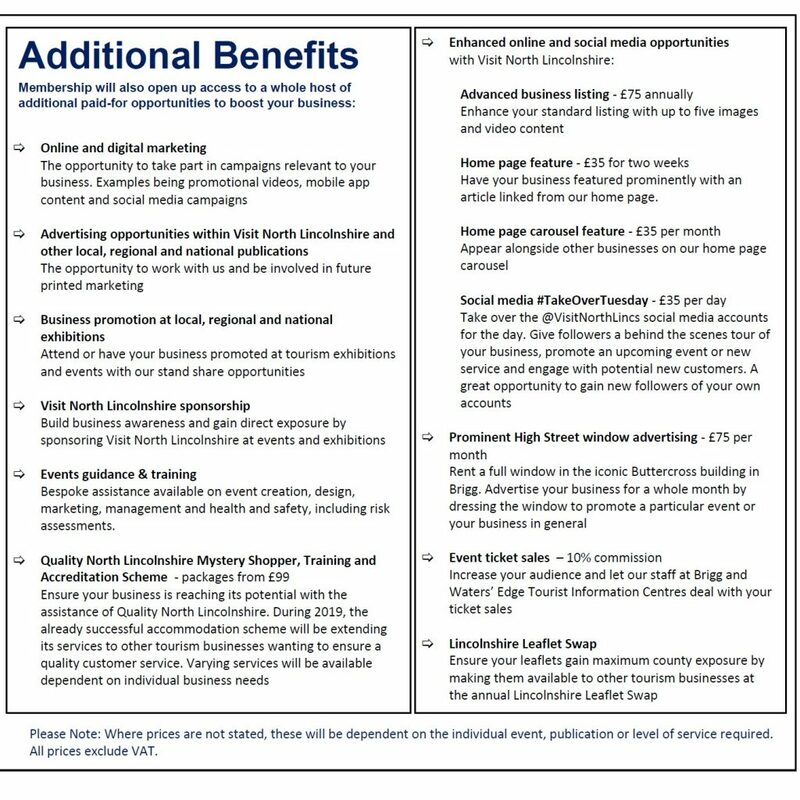 By becoming a member, you will gain access to some fantastic inclusive benefits designed to help promote your business, as well as the opportunity to buy into additional marketing activity and business initiatives that will help promote your business to the visitor market. *Membership runs from April to March. Prices exclude VAT.